Elephant Atta has great affinity amongst South Asian consumers, and as the 2011 census reveals, London’s Pakistani, Indian and Bangladeshi population exceeds 730,000, so it provides the perfect opportunity to bring the brand closer to its consumers hearts and minds. Elephant Atta focussed on being unmissable in three key areas: Harrow, Hounslow and Southall. Prominent outdoor advertising was displayed over a 12 week period, while a team of brand ambassadors delivered 8,000 sample bags directly to consumers to try in their own kitchens. Elephant also supported the community at the Southall Nagar Kirtan, a procession to celebrate the Sikh New Year and the founding of the Sikh community, by donating flour to the local Gurdwara who gave out hot fresh chapattis to procession goers. 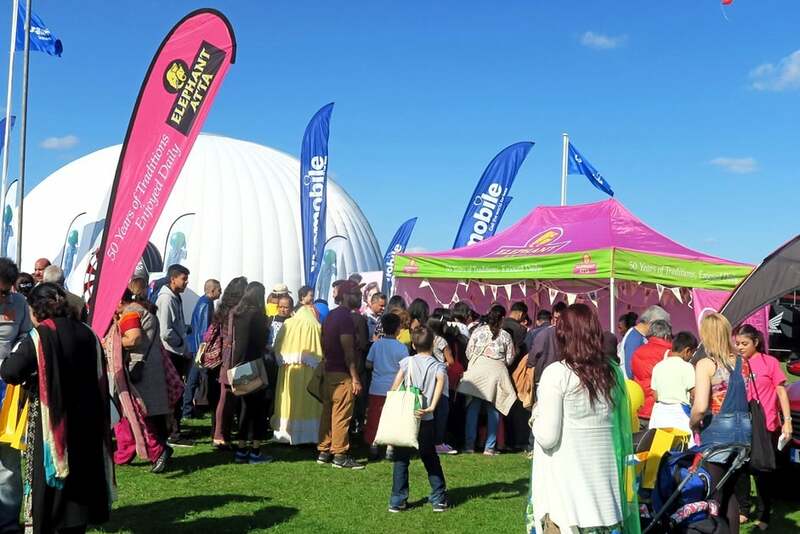 Elephant Atta was also proud to host a fun and interactive tent at the London Mela, held at Gunnersbury Park, attended by more than 50,000 consumers. Alongside cooking demonstrations and face painting for the kids, families enjoyed fresh chapattis served with Patak’s pickles, along with money off vouchers to encourage purchase after the event.